Egilsay’s smaller cousin Wyre as see from Rousay. When Earl Magnus and his two ships set out a rogue wave crashed over the bow of their boat, drenching everyone on board. Despite this bad omen, they continued to the peace conference. When the arrived they discovered that Earl Haakon had not held to the terms of the agreement. He had brought eight ships full of warriors. They set up camp on the beach. Magnus went to church. Monday morning. Magnus’ friends are sent to get him out of church and down to the beach. 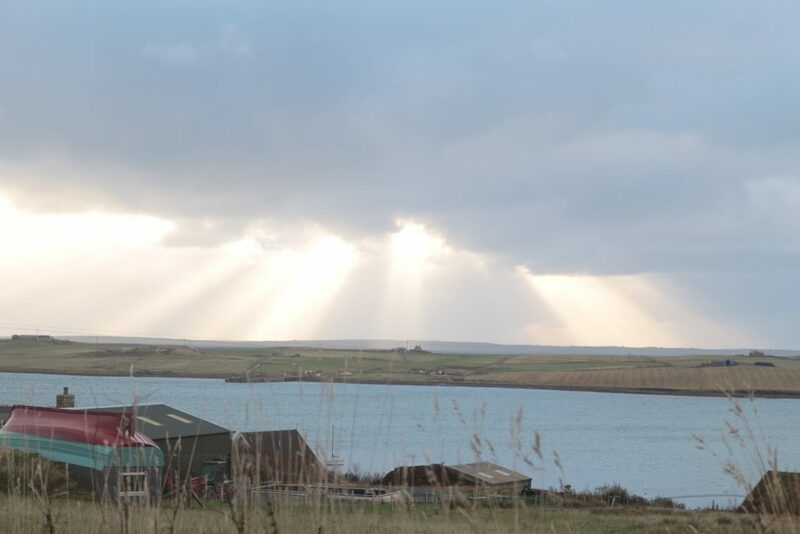 Magnus comes smiling, ‘blithe as if he were bidden to a marriage feast.’ It is explained to him that the only way that there can be peace in Orkney is if there is only one earl. 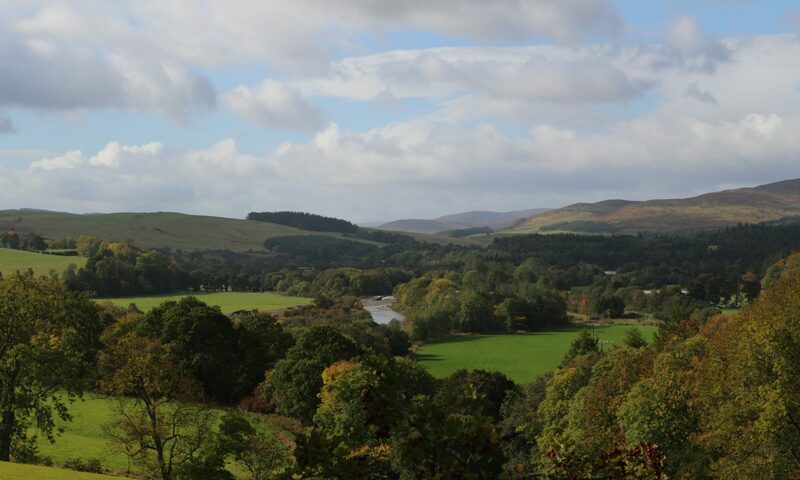 Magnus offers to go to Caithness; Haakon refuses. Magnus offers to go to Jerusalem; Haakon refuses. Magnus offers to enter a monastery; Haakon refuses. Haakon’s standard bearer refuses his lord’s command. The cook is summoned to do it instead. According to the legend Magnus stood in front of him and smiled, and told him not to be afraid, and to strike true. Lilolf the cook brought his ax down weeping, and split the Earl’s skull. In 1136 he was made a saint by Bishop William of Orkney. Haakon Paulsson ruled Orkney alone, and died alone. The island earldom was inherited by Magnus’ nephew, Rognvald Kolsson. 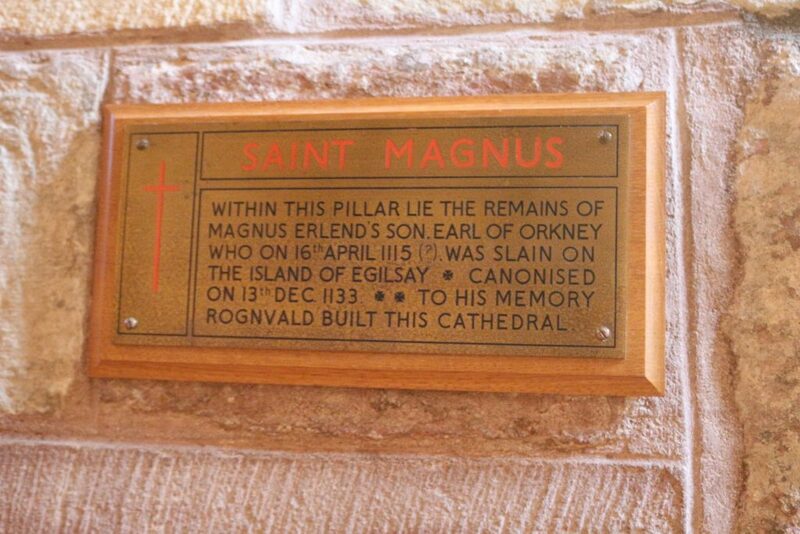 It was Earl Rognvald who commission the cathedral at Kirkwall. Magnus’ body was moved to one of the great central pillars and, in time, Rognvald was buried in the other. 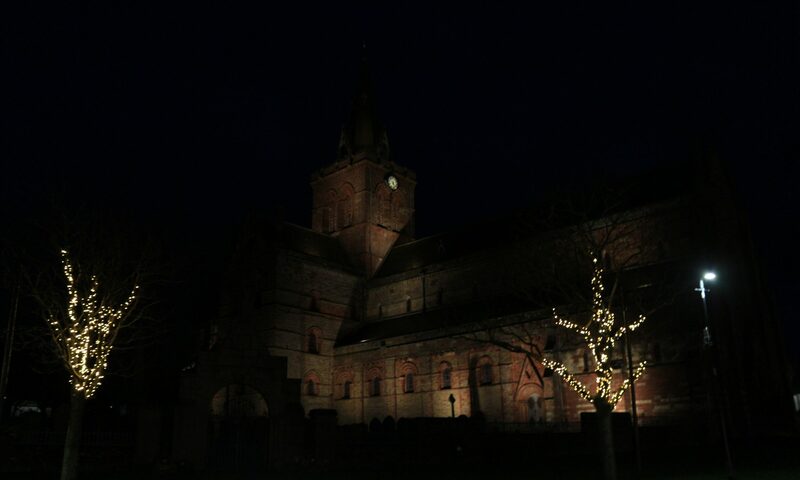 St. Magnus became the patron saint of Orkney, and his cathedral is one of the only two pre-reformation cathedrals still standing in Scotland. 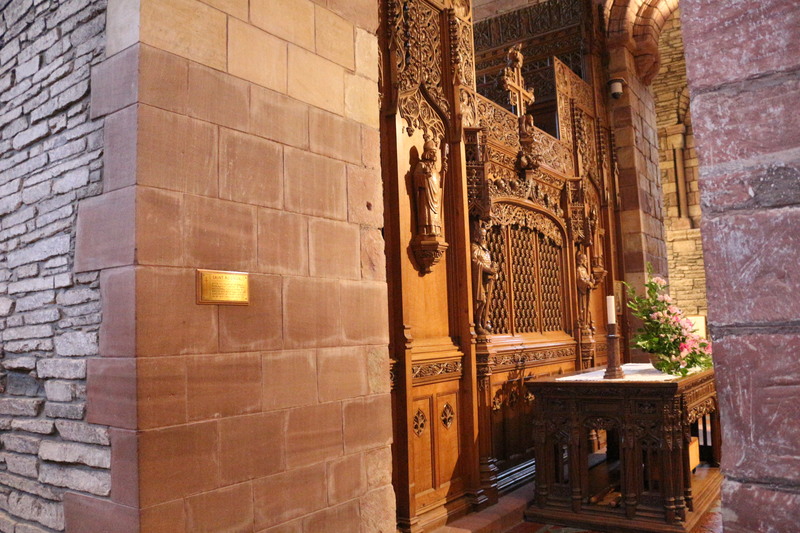 While other ecclesiastical institutions across Scotland were being systematically dismantled, St. Magnus’ cathedral was stripped of its icons and ornamentation and left otherwise unharmed. George Mackay Brown, the crown jewel of Orkney’s writers, wrote a book about Magnus, and two or three poems. Here is one of them. I had a white coat put on me, a silver ring. Through the rage of a sea battle. Hakon my cousin and I. We smoked pirates out of caves in Shetland. A people with gaunt faces. And a hawk furl on a mailed fist? At dawn, an old priest said mass. Than my carved chair in Birsay. Has come up, weeping, from the stewpots. For the unlocking of the door into light.